It is important to make sure you can afford a home before making an offer. A pre-approval letter shows that your lender is confident in your ability to qualify for a particular loan amount. While it is not required that you obtain a pre-approval letter before shopping for a home, it is recommended. Pre-approvals can usually be made off of verbal information and credit pulls. Asset statements for savings accounts, a 401k, 403b, IRA, annuity, etc. Any co-borrowers are required to provide the same information. A free credit report, such as from CreditKarma, seems appealing, but they are not accurate in most cases. Free credit score sites also give VantageScores, not FICO scores, which are required by most lenders. The difference between the scores can be further reviewed here. A full credit report details any delinquencies the borrower has with other lines of credit. If there are late payments on credit cards, collections, or a bankruptcy that was not revealed during the application process, foreclosures, and judgments. Merely going off the honor system when a client gives their credit score will not suffice for a large sized investment. There are mortgage brokers such as Federal Home Loan Centers, who will lend to clients who lack a credit score. Clients without a credit score will need to be able to supply a small down payment upfront, along with possible extra documentation. The USDA and VA home loan programs, more often than not, require a credit score to take advantage of the zero down payment benefit. At least one year of consistent employment is required for pre-approval in most cases. Consistent employment means that you are doing the same type of work for the most recent 12 months. You will also need to provide a 2 year working history. You can work at two or more separate companies within that two year span as long as the work has been consistent. (example: you were a chef at Olive Garden, but then got a better job cooking at Cheesecake Factory with no job gaps). If you have completely changed job industries, then it cannot be accepted as consistent employment, in most cases. Say you worked for six months as a baggage handler for Southwest Airlines but then got a new job as a customer service rep at Verizon; this would not count as consistent employment because you were working in two separate industries. If you are collecting income from disability, pension, or social security you may still qualify for a home loan. As long as your debt to income ratio is found to be a manageable amount, then a lender should be able to accept award letters and pension as forms of income. When can I make an offer? You can technically put down an offer immediately upon getting a pre-approval. 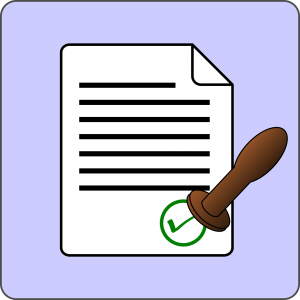 It is highly encouraged that all required documentation be turned in before making an offer. If you cannot provide this documentation, you may lose out on the home you put an offer on. If there is any official documentation that cannot be provided for any reason, some companies can sometimes accept what is called a Letter of Explanation. A Letter of Explanation details the situation and is signed by the person who drafted it. A Letter of Explanation is good for those in subcontracted positions, those with extenuating circumstances on financial hardships, and those dealing with payment errors from their employers. If you have further questions about getting pre-approved for a federal home loan, call 877-432-5626 or tweet @fedhomeloan on Twitter.